The trendy shirt you bought today at Zara was only an idea floating around a designer’s head just two short weeks ago. This is the magic of Inditex Group, head of the world’s most recognizable fashion brands including Zara, Pull & Bear, Massimo Dutti, and Berksha. 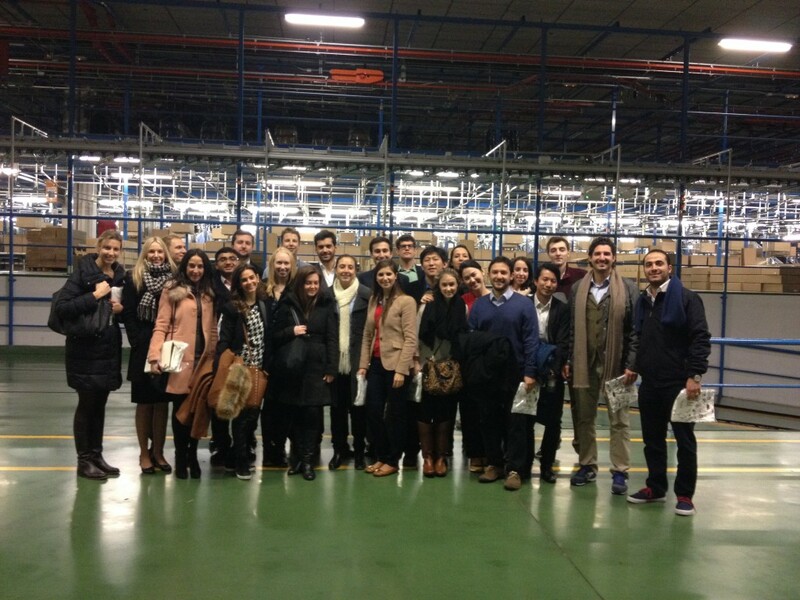 Last week, I joined 20 IE students in a trip to Inditex’s headquarters to see how the company manages to transform designs to completed and delivered products in such a short time. Inditex headquarters, located in A Coruña, Spain, is home to design, production, and distribution for Zara. Our visit started in the design studio, where hundreds of designers work side-by-side with country managers to make sure new products fit market needs and rising trends. Prototypes of the designs are produced on-site and tested in the mock stores downstairs, which exactly mimic the lighting and layout of Zara stores. One key to Zara’s fast turnover is that 55-60% of items are made in factories located in Spain, Portugal, Morocco, and Turkey. This achieves the dual objectives of boosting local production and speeding up distribution. Our tour included a stop in the factory to see how finished garments were put into a sophisticated, high-tech distribution system, which ensures that stores can receive new, specialized shipments twice a week. Inditex’s unique production and distribution processes have resulted in strong growth for the company despite the global recession. Visiting the factory gave us a first-hand view of how the company has managed to achieve and maintain its success.